Grace in Style: GIVING STORY: DECEMBER'S TOTALLY AWESOME AMAZON $750 GIVEAWAY! 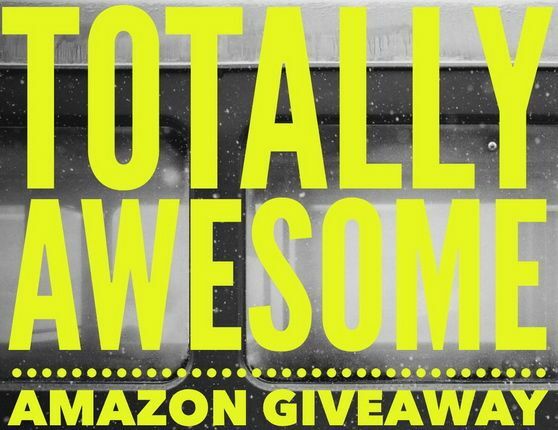 GIVING STORY: DECEMBER'S TOTALLY AWESOME AMAZON $750 GIVEAWAY! Happy Friday! I don't know about you, but I am looking forward to some rest & relaxation this weekend! ...And now for another amazing giveaway! Some fellow bloggers and I have teamed up to give one lucky reader the chance to win $750 to spend at Amazon!! Plus, each of us have donated money to Feeding America to provide meals to families in need across the country! So, in the end, many people win through this giveaway and we feel so fortunate to be able to give back and we are reminded to be thankful for what we do have. Want a chance to be the lucky winner? Here’s what you need to do - bookmark this page and come back every day to enter and earn bonus entries by sharing the giveaway with your friends on social media. Good luck!! Friends, let's remember to count our blessings. It's so easy for me to say, "I want" or "I need" or "I wish I had". But with that attitude, my heart develops a habit of discontentment and emptiness. It is with a spirit of thanksgiving that we can live lives filled with joy. I am thankful for you! Your comments and encouragement bring a huge smile to my face and I hope this space encourages you as well! Wow, awesome opportunity! Thanks so much. I really need a camera. Wow that's an amazing giveaway. I would buy a camera. I would start using Amazon's grocery section to get lots of everyday essentials shipped to my house. Free groceries for a few months sounds great!